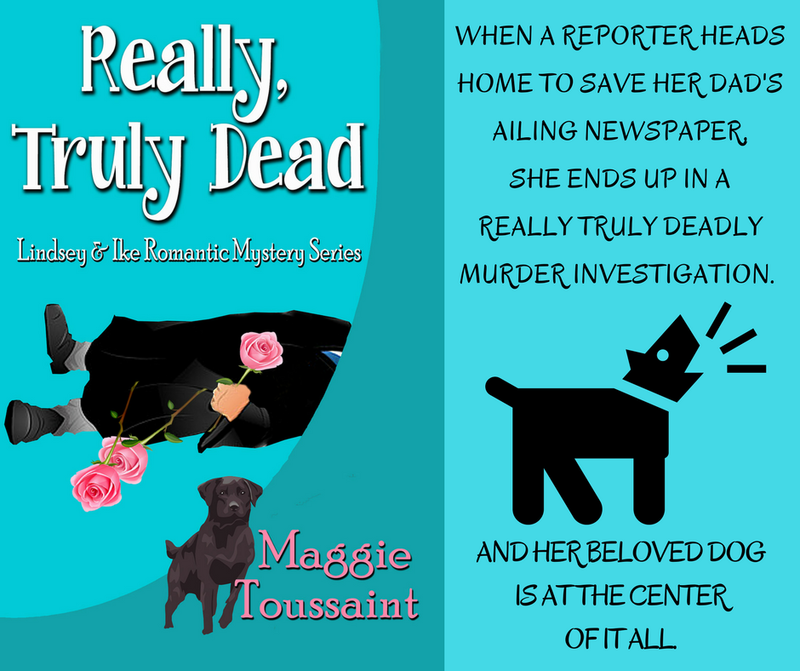 Today's REVOLVING BOOK is the mystery REALLY, TRULY DEAD by MAGGIE TOUSSAINT. Science writer Lindsey McKay takes a leave of absence from her job and returns home with her dog to save the family newspaper. She left Danville ten years ago and she trusts she can wrap this up quickly. She promises her Atlanta boss she’ll return in two-weeks. Southern author Maggie Toussaint writes mystery, suspense, and dystopian fiction. Her work won the Silver Falchion Award for best mystery, the Readers’ Choice Award, and the EPIC Award. She’s published seventeen novels as well as several short stories and novellas. The next book in her paranormal mystery series, Dadgummit, releases June 2017. Maggie serves on the national board for Mystery Writers of America, is President of Southeast Mystery Writers of America, and is Co-VP of Low Country Sisters In Crime. Visit her at www.maggietoussaint.com.